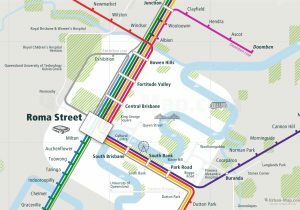 Brisbane Rail Map - A Smart City Guide Map, Even Offline! 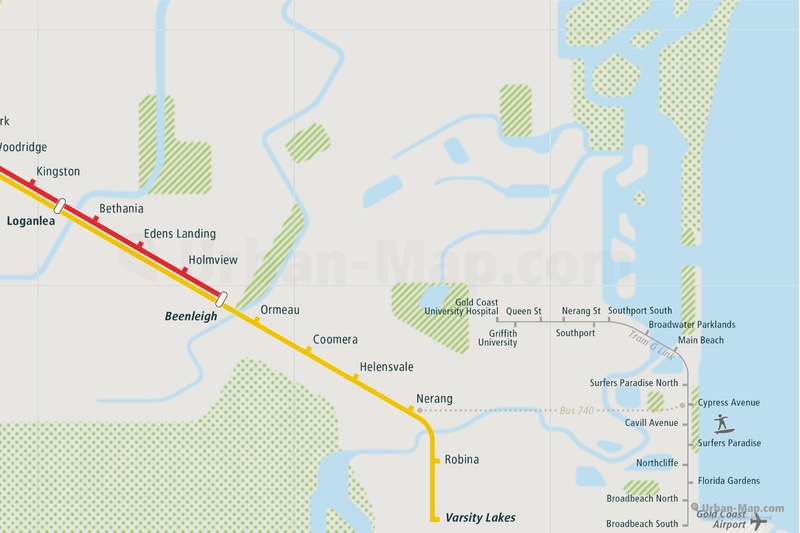 The Brisbane Rail Map is a train route city map that includes Queensland Rail QR Beenleigh Line, Caboolture Line, Chorncliffe Line, Doomben_Line Line, Exhibition Line, Gold_Coast Line, Springfield Line, Tram, Busway and Airport Link in the public transport network of Brisbane city and Gold Coast area. Download the full Brisbane Rail Map on App Store & Google Play. 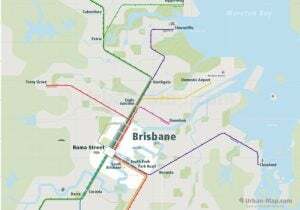 Brisbane Rail Map - Available now as a poster! 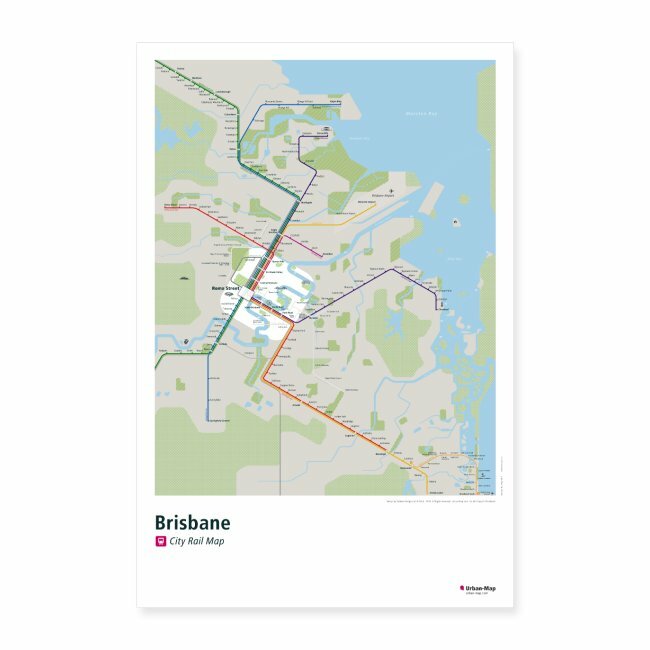 The poster of the Brisbane Rail Map is available in the Urban-Map online print shop worldwide. 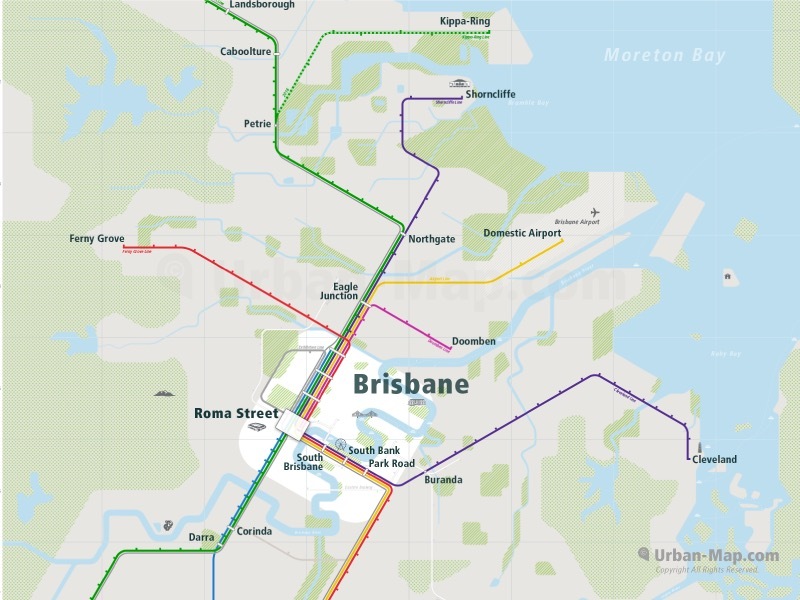 The Brisbane Rail Map includes the public transportation system, as well as many major landmarks and points of interest. In addition to the maps, the City Rail Map app for mobile devices provides a route planner, the ability to search for all transport lines and station locations and connections, GPS support and many more features for your city trip. The handy › City Rail Map is therefore the ideal companion for traveling and getting around the city. includes Brisbane and even more 60+ cities. 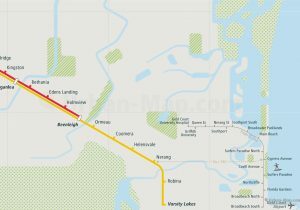 Below you can get a glimpse of the Brisbane Rail Map. The full version of the map, including all main transportation routes and lines on rail and partly also bus and ferry. Special clearly marked stations, transfer hubs and interchanges for line transfer, as well as station names and landmarks represented. 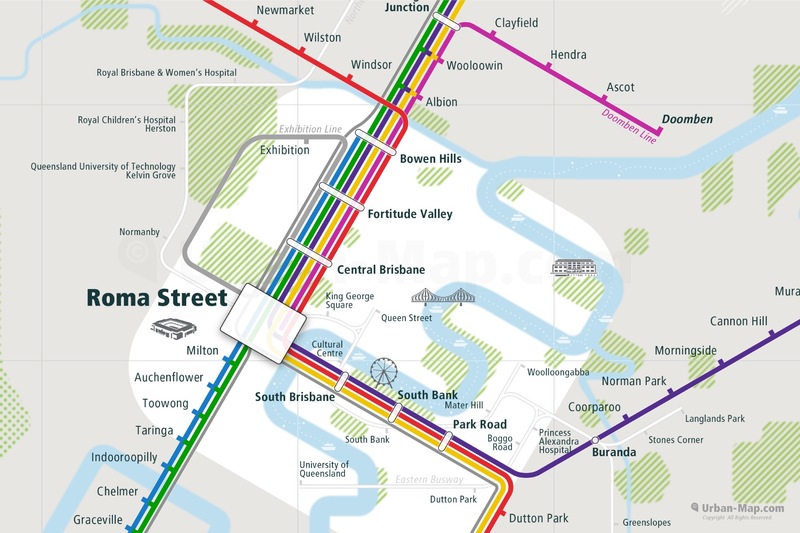 The Brisbane Rail Map can be loaded in the › City Rail Map app.